By now, we pretty much know what sort of sound Jason Lytle is going to produce. Let’s call it ‘beepy indie’. The opening track begins with a series of electronic squeeks, but then settles down into a catchy guitar and synth groove, with the odd digital burp thrown in here and there for accompaniment. It’s at once unusual and, for Grandaddy devotees at least, very reassuring. And there’s the rub. When they began, Grandaddy sounded different from pretty much everyone else. 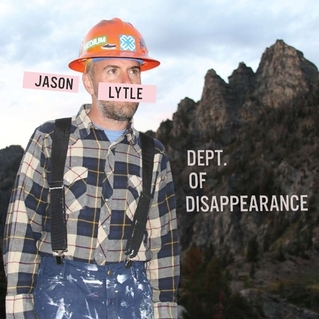 They’ve been absent from the studio for six years now and this is only Jason Lytle’s second solo album in that time. But, from the very first squonk it sounds like they’ve never been away. The result is that what was once so vibrant is now pretty much ‘meh’. That said, there’s plenty to like here. ‘Young Saints’ has a melody that really gets in your head. ‘Last Problem of the Alps’ has a great break at the beginning where you can clearly picture Lytle cramponning desperately for the summit. Both ‘Somewhere There’s A Someone’ and the closing track, ‘Gimme Click Gimme Grid’, build slowly and create a certain sense of drama. In fact, pretty much every song, in isolation, is really nice. If you heard any one of them on the radio, you’d probably pick up on it. But across an album the effect is slightly soporific. The whole isn’t quite the sum of its parts. Maybe the air is really thin at the altitude Lytle is currently operating at. Maybe he just can’t write songs any other way. Ah, but he can. ‘Elko In The Rain’ is mainly just Lytle strumming on something like a uke. There are no i-effects. No big keyboards. It’s really affecting. Maybe this is the next mountain he should climb. Posted in Jason Lytle and tagged as Music, Review.